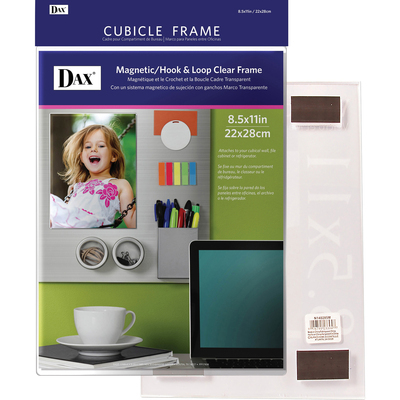 Durable styrene frame displays and protects photos and documents. Hook & Loop piece on back sticks to fabric walls. Included Hook & Loop-backed magnet also allows you to hang the frame on file cabinets and other metal surfaces. Vertical or horizontal display.